Train No. 01021 will leave Mumbai CST on 05/03/2015 & 07/03/2015 at 05.15 hrs and will arrive Karmali at 16.30 hrs the same day. Similarly, in return direction, Train No. 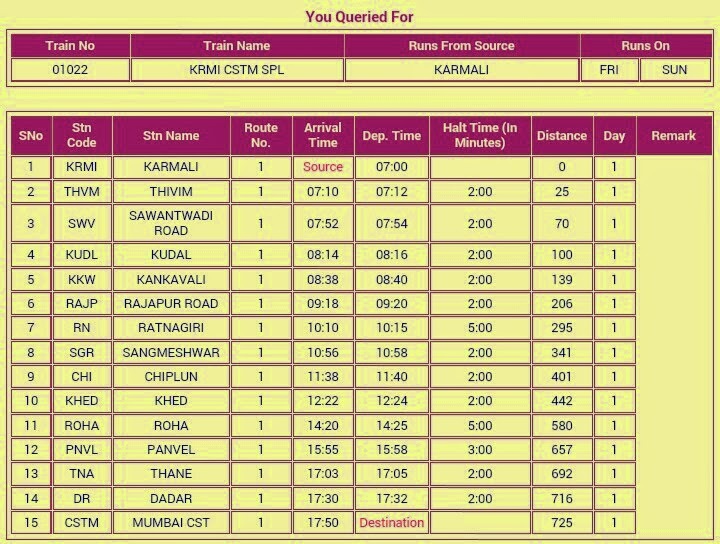 01022 will leave Karmali on 06/03/2015 & 08/03/2015 at 07.00 hrs and will arrive Mumbai CST at 17.50 hrs the same day. Dadar, Thane, Panvel, Roha, Khed, Chiplun, Sangameshwar, Ratnagiri, Rajapur Road, Kankavali, Kudal, Sawantwadi Road, Thivim. 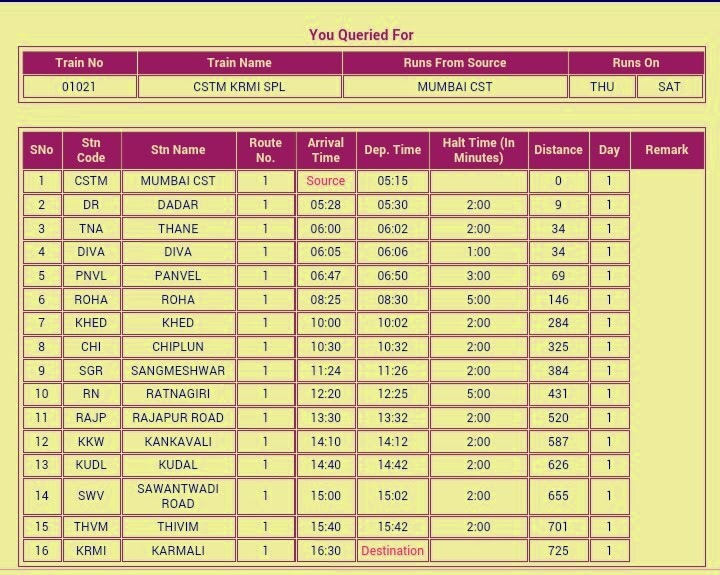 Kindly note the Bookings for train 01021 is already opened.